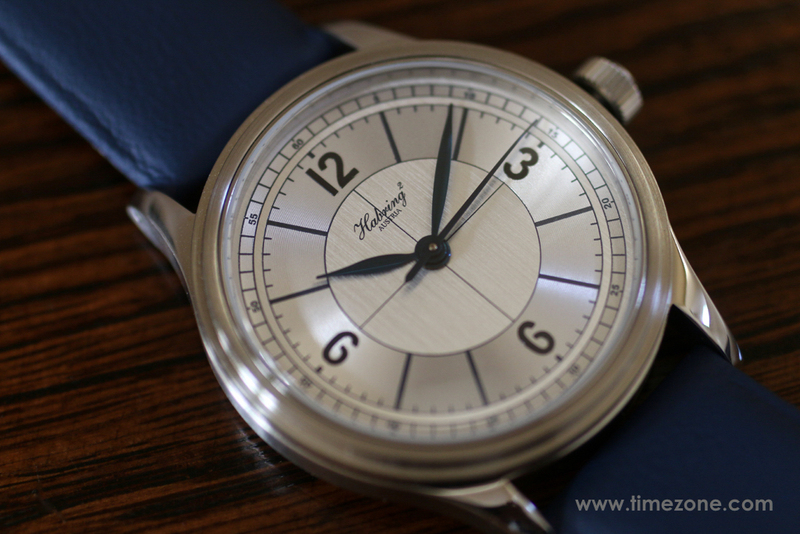 I just received the Habring² x TimeZone ref. 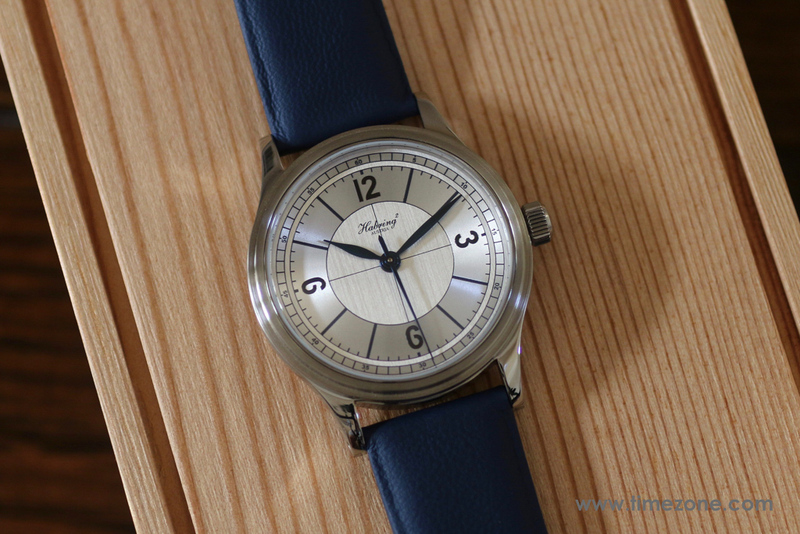 TZ21, and I'm over the moon with the sector dial, slim case and the jumping seconds (seconde morte). The UPS truck arrived at 10:00 a.m. and, within five minutes, I unwrapped everything and sent wrist shots to WIS friends all over the country. 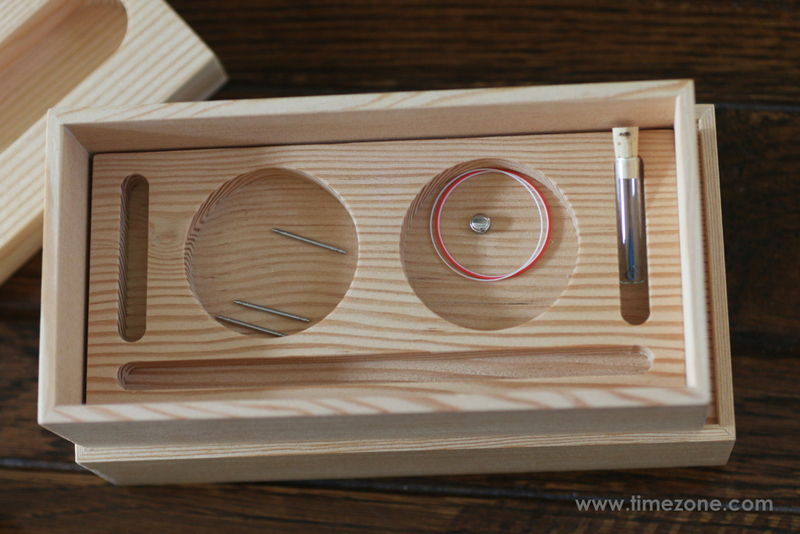 The Oregon pine box is minimalist, compact and functional. Uncovering the lid reveals one solid pinewood block stacked neatly on top of another, and each block with compartments shaped in the silhouette of its contents. 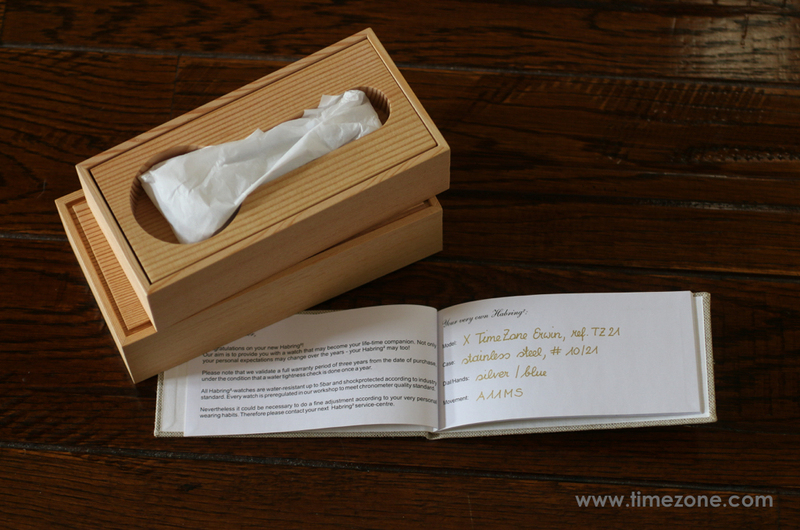 The top pinewood block is where the TZ21 is securely nestled in a tissue cocoon. The top pinewood block stacks on another pinewood block holding the spare component parts of spring bars, gaskets and seals, crown and a full set of spare heat-blued hands. 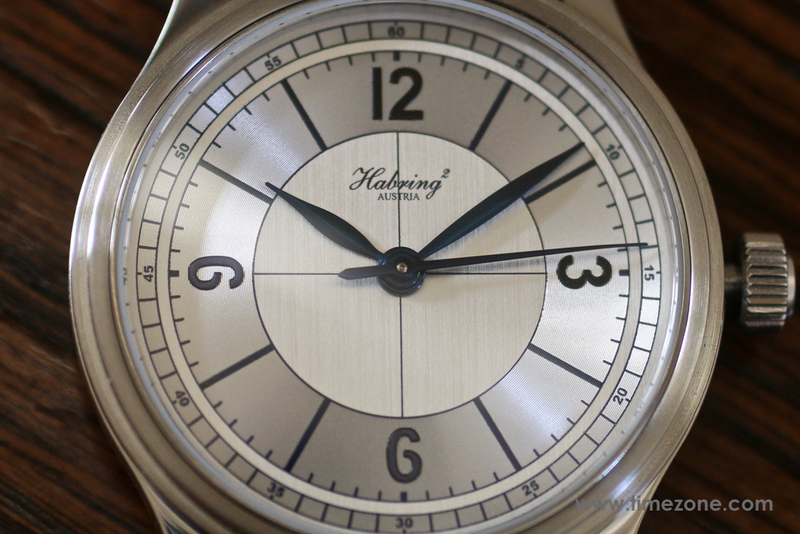 "Your very own Habring²... #10/21"
William Massena designed the ref. TZ21 as a simple, three-hand timepiece with an exclusive sector dial that recalls the legendary sector dials from the 1930s. When the first Calatrava ref. 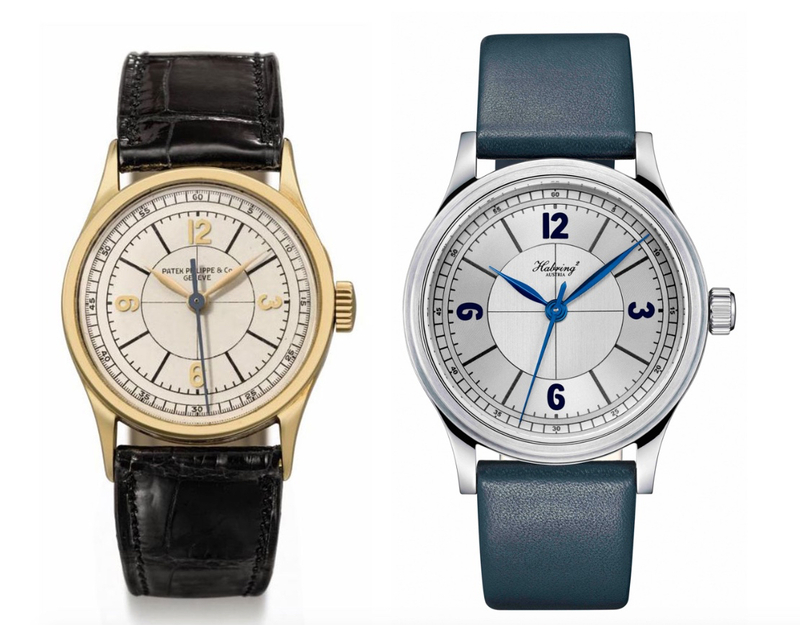 96 arrived in showrooms in the early 1930s, it was strikingly different from previous Patek Philippe models in that it was an understated, refined and slim product of Bauhaus design. The ref. 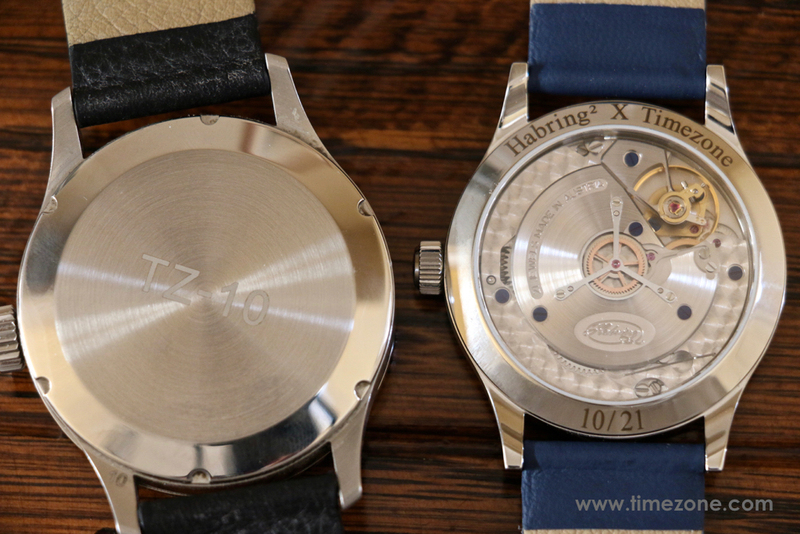 TZ21 taps into this era of distilled elegance with meticulous attention to detail. The sector dial is divided into four segments with two different surface finishes that alternate from vertically brushed matte silver to silvered concentric lines. The alternation from vertically brushed lines to concentric lines adds an interesting sense of depth and variation as light plays across the dial. 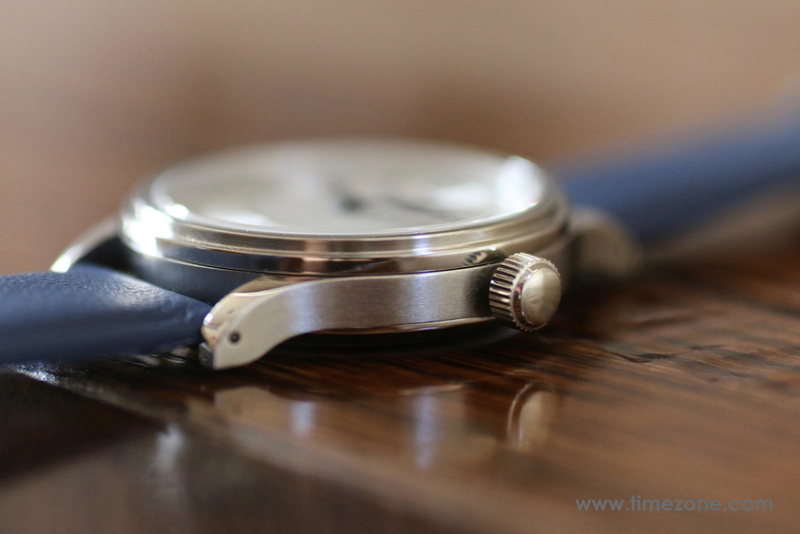 At its center, the matte silver dial is vertically hand-brushed. 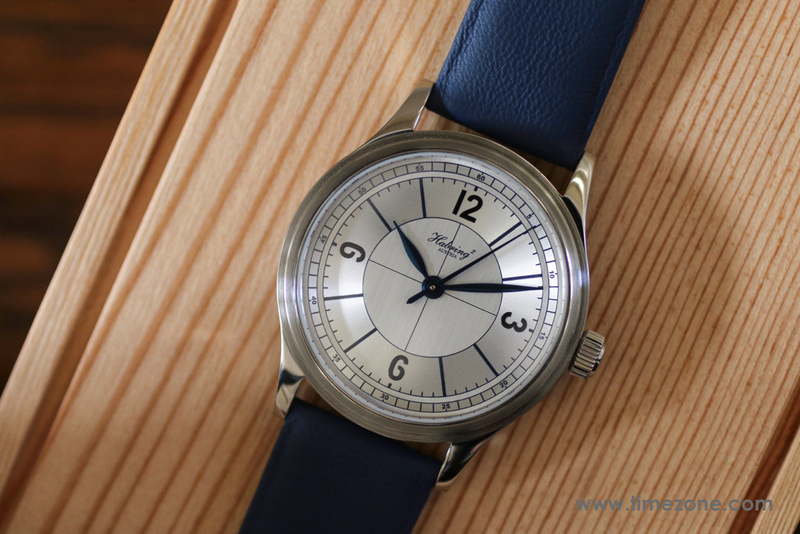 The finishing then alternates with a silvered hour sector that is finished in a repetitive circular pattern that is punctuated with crisp dial markings and numerals in midnight blue. The midnight blue printing is so thick that at some angles, the printing resembles applied numerals. The finishing alternates again to a brushed matte silver ring that separates the outer railway. Then, the outer railway is finished in the same repetitive concentric pattern as the hour sector. 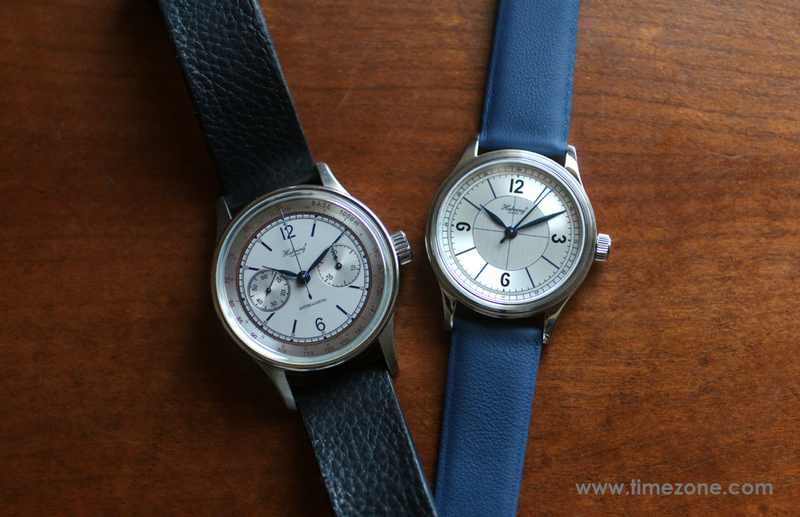 In the prototype, above, the heat-blued feuille hands are a near miss. Specifically, in comparing the minutes hands of the ref. 96, above, it's apparent that the ref. TZ21 prototype overextends into the outer railway. However, in final production this week, Maria and Richard Habring nailed it and the minutes hand is the perfect length that stops precisely within the hours sector. In its final production, the ref. 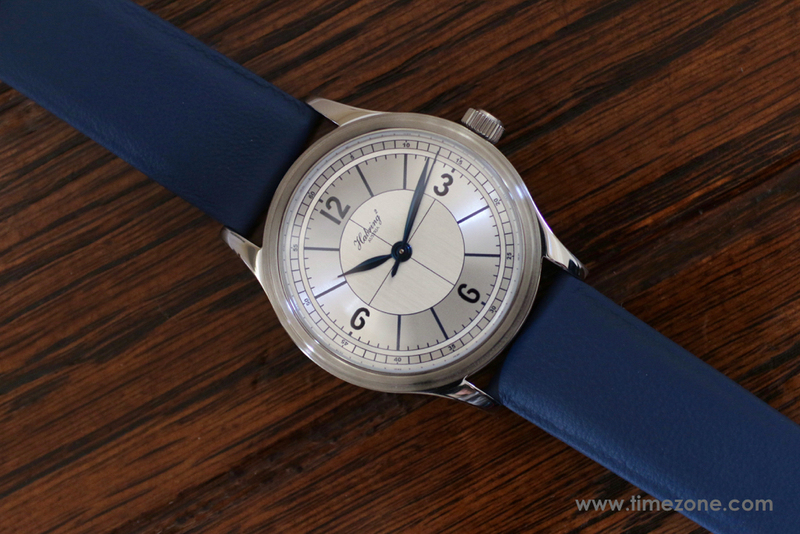 TZ21 retains all the sophistication and charm of an old sector dial, without being cliché. Careful details like the alternating finishing patterns, the thickness of the printing, and the precise length of the hands are the decorative twists in which form follows function and, altogether, balance into a strikingly good looking dial. Another particularity of the dial is that the outer railway five minute divisions are perfectly aligned with the dead beat (jumping) seconds hand. 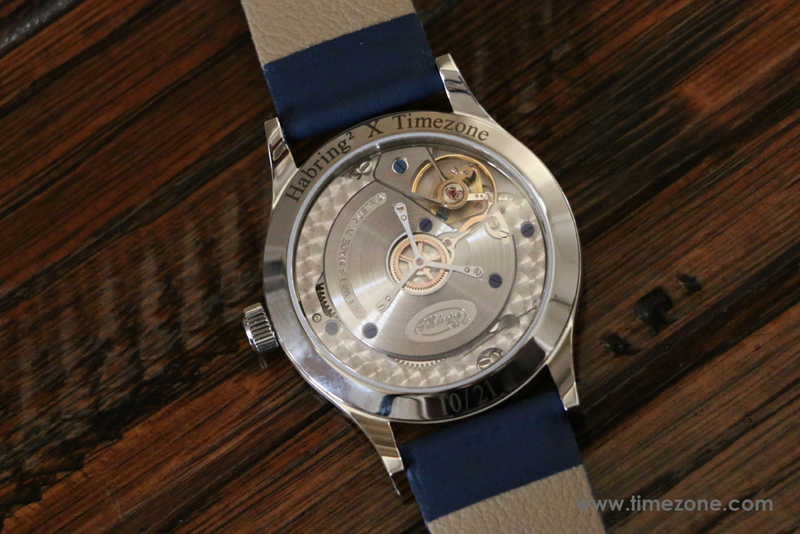 Over two decades ago, Richard Habring famously developed the world's first affordable split-seconds chronograph. 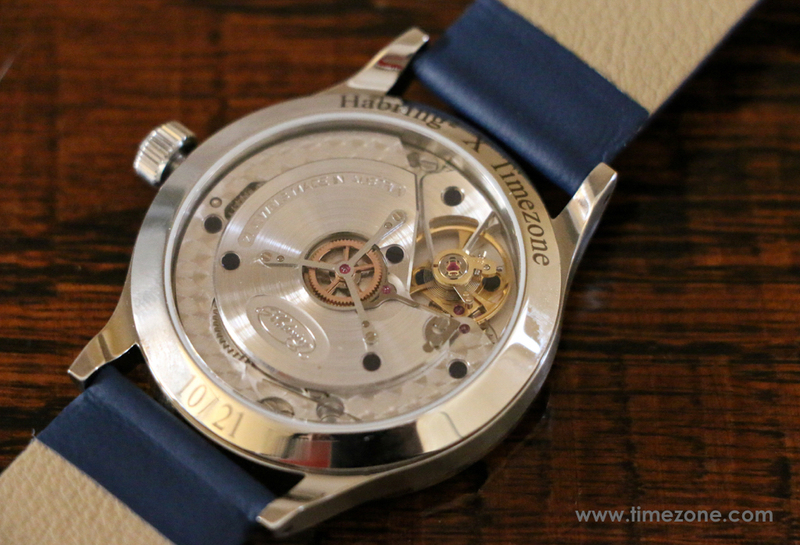 Ever since, Habring² has delighted independent-watchmaking fans with technically brilliant, functional and affordable complications with that certain je ne sais quoi, like a dead beat seconds, foudroyante and chronograph COS. 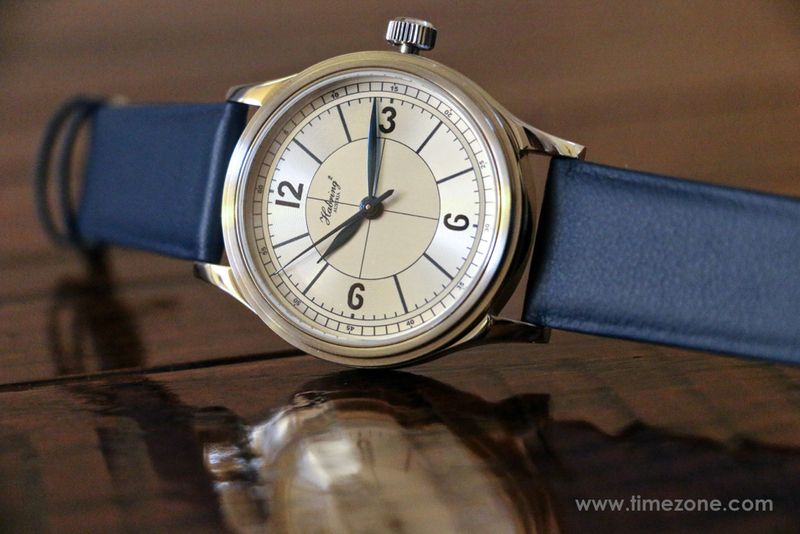 The deadbeat/jumping seconds are the historical forerunner to the chronograph. The complication is known by many other names, such as seconde morte (French), dead seconds, jump seconds, true beat or ruhende sekunde (German). By the early 18th century, each jump of the seconds hand corresponded to an oscillation of the balance and became the distinguishing mark of a mechanical watch displaying seconds. 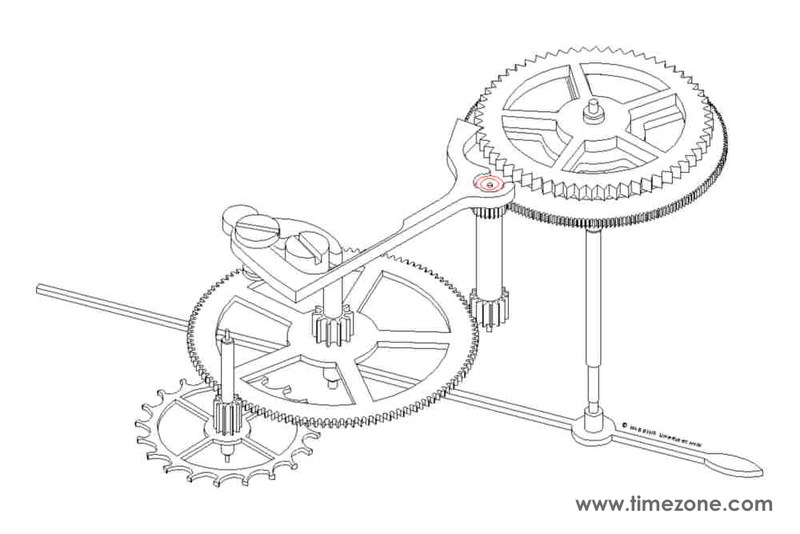 In 1776, at the age of 23, Swiss horloger Jean Moïse Pouzait invented the independent dead seconds mechanism by adding a separate gear-train so that the seconds hand could be stopped and started independent of the hours and minutes hands. The mechanism was useful in measuring brief intervals of time without any of the drawbacks of stopping the whole movement. However, since the mechanism lacked a reset function, the user had to note the starting time and calculate the measured interval. 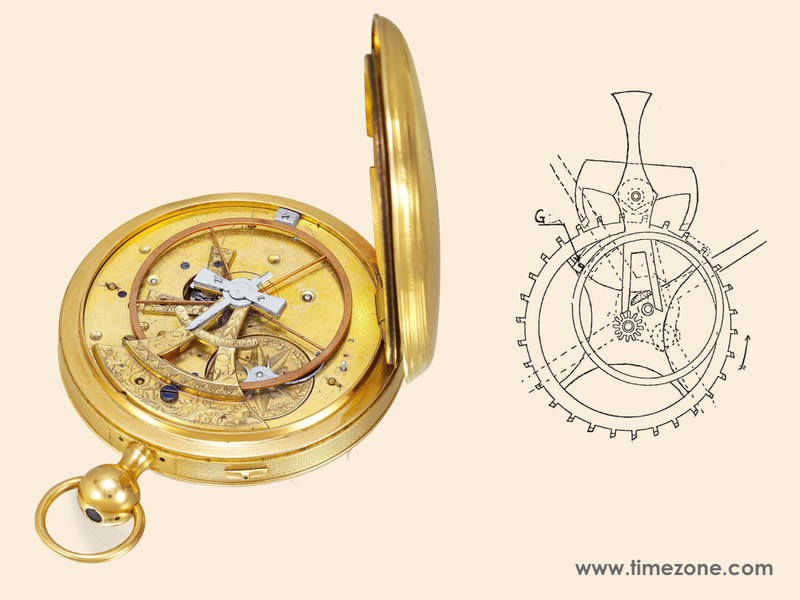 Improvements to Pouzait's mechanism in the 19th century, together with the invention of the reset function, eventually led to the chronograph as we know it today. 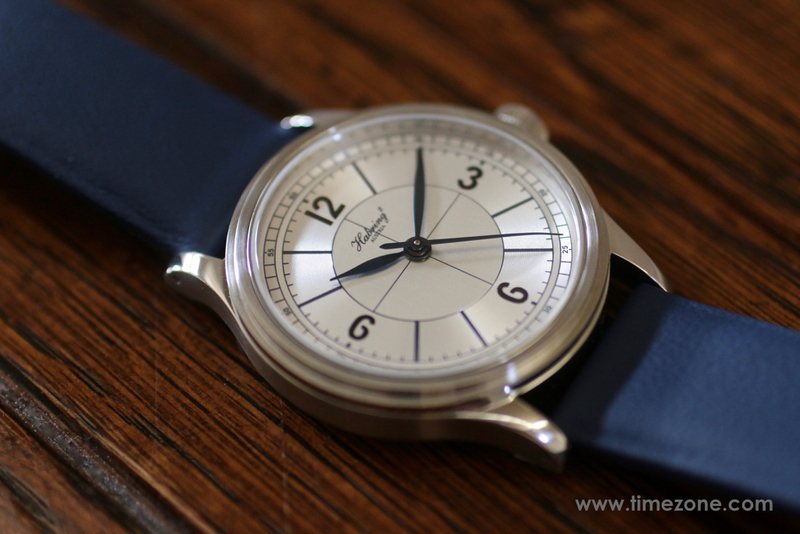 In the 1950s, the deadbeat/jumping seconds reemerged briefly in Swiss watches like the Omega cal. 372 Synchrobeat and Rolex ref. 6556 Tru-Beat. However, the complication fell out of fashion by the 1970s and didn't emerge again until 2004, when F.P. 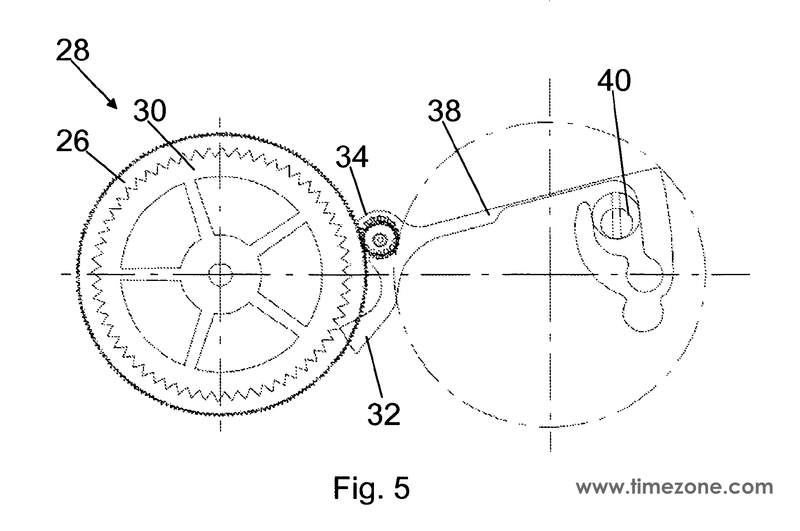 Journe added a natural deadbeat seconds mechanism to the Tourbillon Souverain à Remontoir d'Egalité avec Seconde Morte. 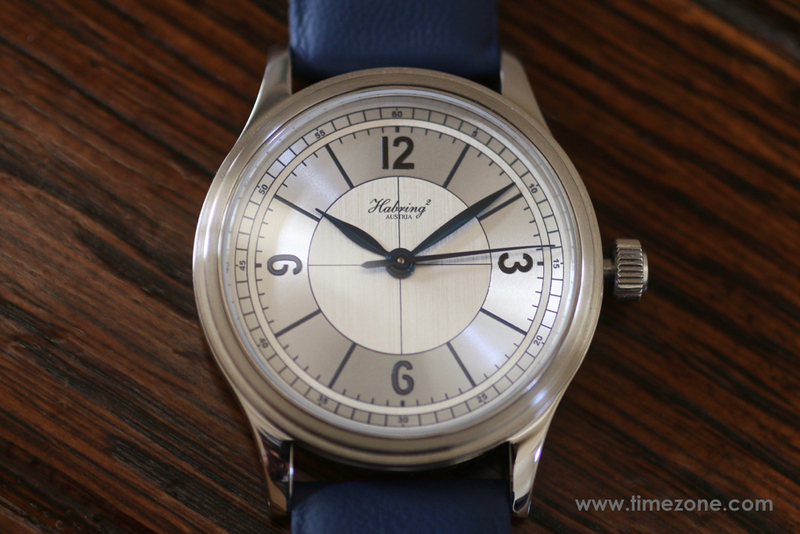 In 2005, Habring² helped revive the deadbeat/jumping seconds mechanism using Chezard ebauches from the 1950s. Fast-forward a decade and the Caliber A11MS is a thin, in-house mechanical movement with a cleverly displayed dead-beat seconds mechanism. Since Habring² manufactures the Caliber A11MS mainplate and bridges in its workshop, the result is a flat and thin caliber that measures just 30 mm x 5.7 mm in size. 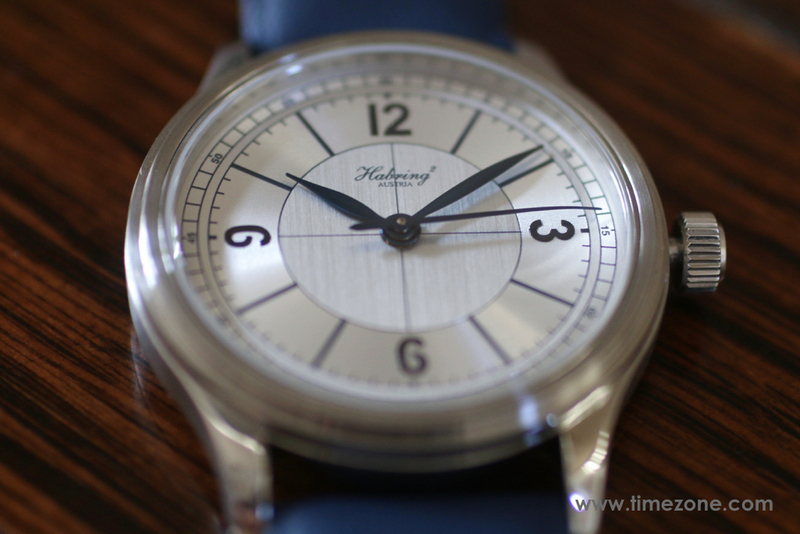 The 38.5 mm stainless steel case is based on a three-part design made for Habring² in Austria. Since launching the Felix in 2014, Habring² cases are manufactured to Habring² specifications by Mattig Präzision GmbH and Meislitzer Präzisionstechnik GmbH in Austria. Even the steel is produced in Austria by Böhler Edelstahl, a large Austrian company that supplies steel and special forgings to a number of important watch brands. 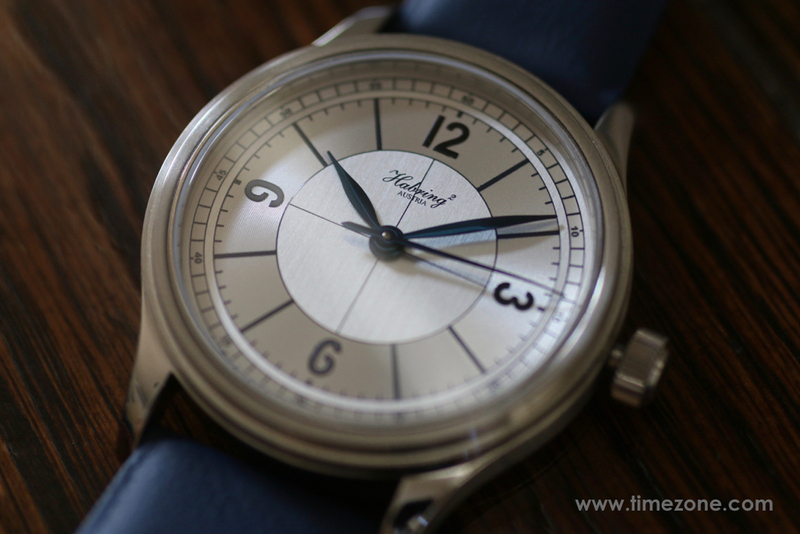 The cases are then finished to Habring² specifications in Weimar, Germany. The ref. 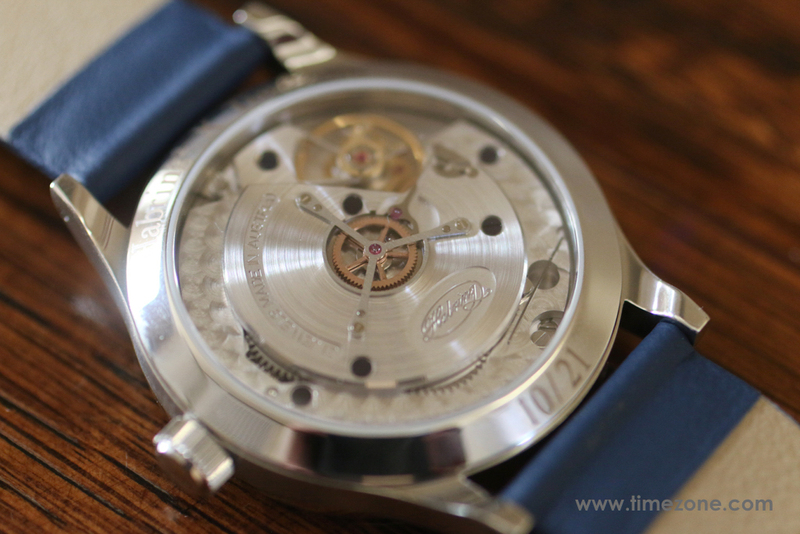 TZ21 case is brushed on the sides and polished on the top surfaces. The space in-between the lugs is also brushed. The lugs are gently tapered and curved for comfort. 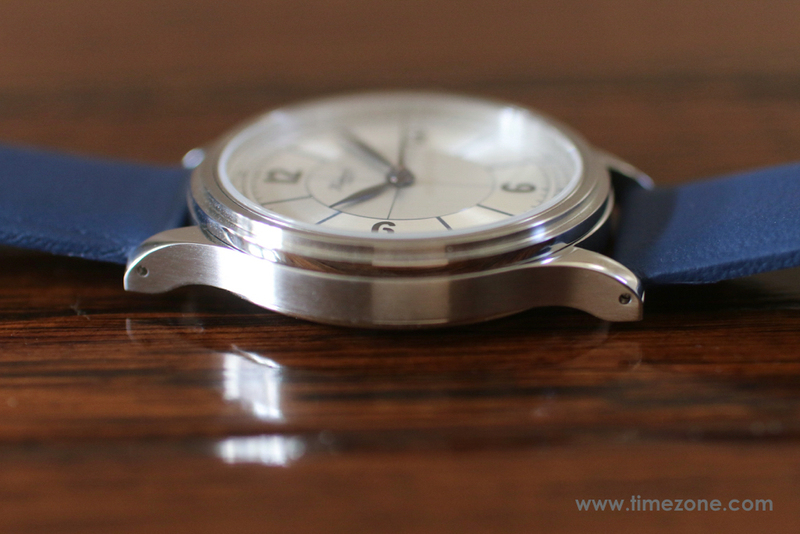 The stepped bezel features hand-polished finish. All components like the seals, the double-sealed crown, and even the sapphire crystals result in a water resistance of up to 30 meters. 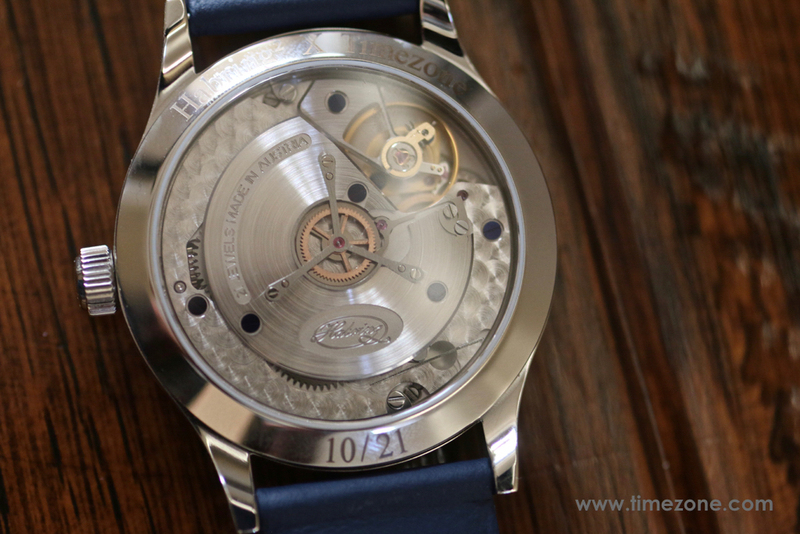 As noted above, since the Caliber A11MS is just 5.7 mm thin, once the movement is cased, the watch is very comfortable at just 9.0 mm thick. 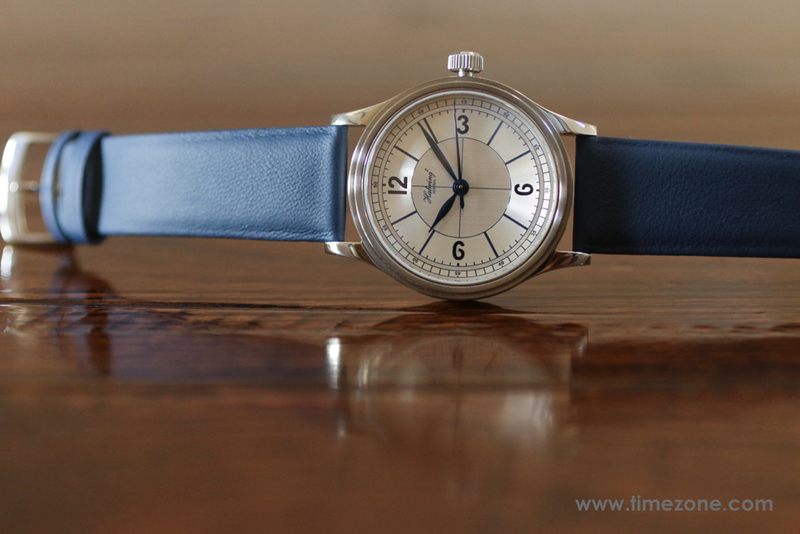 The watch is fitted with a simple, blue calfskin strap and tang buckle. With the final execution in hand, Maria and Richard Habring exceeded my expectations and did another amazing job realizing William's vision. Last year, I was impressed that the ref. TZ20 sold out in a week. This year, the ref. TZ21 sold out in a matter of days. I believe this is a testament to the technical skill and craftsmanship by Maria and Richard Habring, combined with the strong design aesthetics by William. Also, with its $5,750 price, the ref. 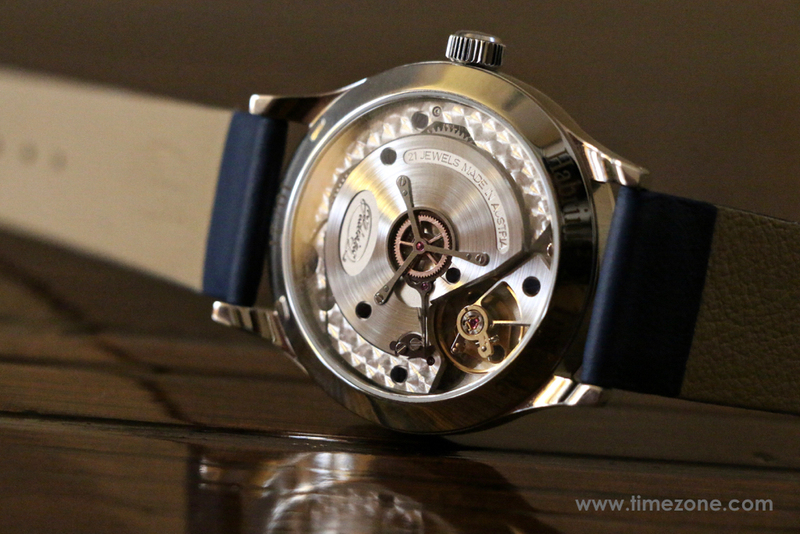 TZ21 presents a tremendous value for an interesting complication with a beautiful design.